The Writer in The Gutter : Only in San Francisco! 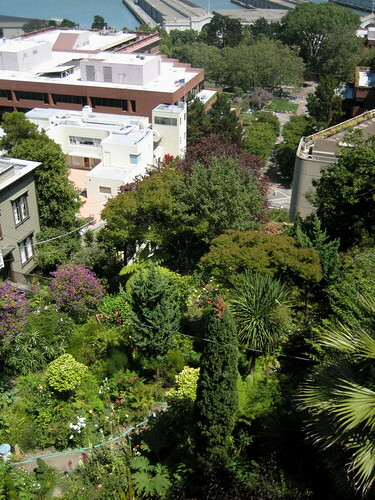 Tumbling down the eastern slope of Telegraph Hill, the Grace Marchant Garden (off Filbert Street) is one of the most beautiful spots in San Francisco. Marchant, who embarked on her labor of love when she was 63 years old, groomed this hillside retreat for 33 years. Offering views of the bay, the two-acre plot is cared for by a cadre of neighbors and volunteers. The climb is sweetened by fragrant wisteria vines, hydrangeas, roses, masses of foliage and a bench to catch one’s breath along the way. Settle in with a good book. Perhaps David Bittner’s “The Wild Parrots of Telegraph Hill,” which documents his “love story … with wings,” or David Goodis’ thriller, “Dark Passage” which featured Lauren Bacall and Humphrey Bogart taking refuge in a nearby home. Filbert Steps from Sansome, December 14, 1952. 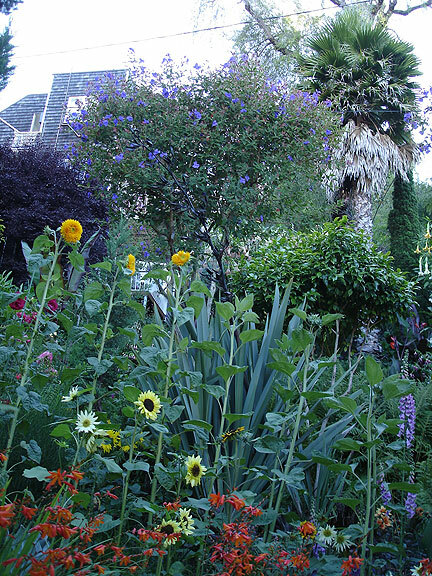 The spectacular public garden along the Filbert Steps on the east side of Telegraph Hill is known as the Grace Marchant Garden. As the story goes, Grace Marchant moved to the corner of Napier Lane and Filbert Street in 1949, when the Filbert Steps was a pathway through an informal garbage dump. She began cleaning up the slope herself. She petitioned City Hall for permission to burn the trash that was many feet deep, and it is said the fire burned for three days. Making a garden there was a passionate embrace of public space, as Marchant spent the next few decades creating it as a public corridor. 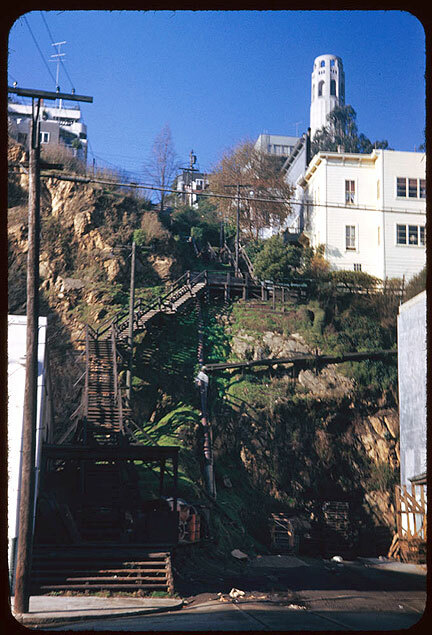 This part of Filbert Street was too steep to be used, and was a trashy, weedy waste until Grace Marchant moved to the area in 1949, and stepped forward to clean up and begin gardening. She died many years ago, but the gardens continue to be maintained by volunteers. 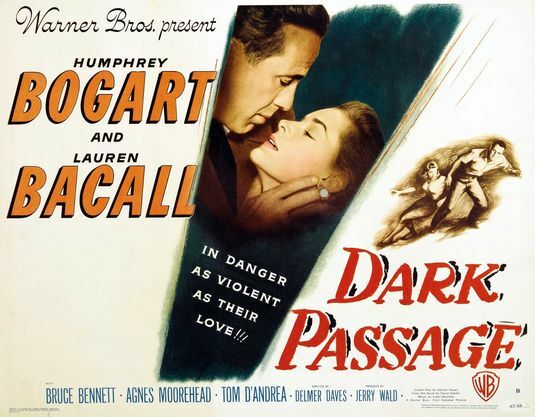 The apartment house used in the filming of DARK PASSAGE was on Montgomery Street in San Francisco. Directly near Filbert Street. finer view in the world.